Do you need some advice about Osteoporosis? They say a problem shared is a problem halved and this Osteoporosis Advice Forum gives you the opportunity to vent your feelings, ask questions and give and receive advice to and from others with similar problems. This Forum is a place to discuss your experiences with Osteoporosis, the condition in general, bone health, measures to prevent the disease or any other topics of interest related to Osteoporosis. You can also post information about the illness and reviews of books and videos related to Osteoporosis and bone health. You don't need to register to post information on this site but I will have the possibility of vetoing any inappropriate posts and will not publish them on the site. Talk to your doctor, talk to your friends, take part in joint activities and talk to those around you there or talk on these forums. 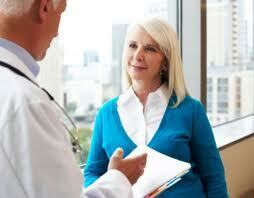 But above all talk about Osteoporosis, learn from others and share your experience with them. Together we can make things better. 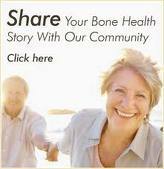 Want to ask for some advice or share your experience with osteoporosis? Do you suffer from osteoporosis or have a loved one who does? Do you want to share your story with our readers! Or do you have some tips you'd like to tell us about, questions you'd like to ask or do you just want somewhere to vent your frustration and have a good old moan. You've come to the right place. 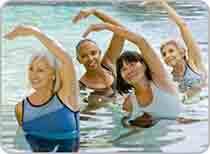 HRT for osteoporosis - what are your thoughts???? 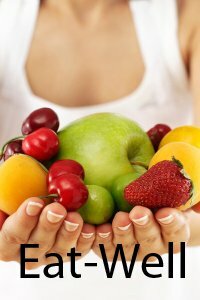 End of the Age-well Mini Site on Osteoporosis. Please contact me at this address if you have some feedback or would like to contribute an article about osteoporosis. You can see our Guidelines for Authors here. “As patron of Osteoporosis Canada for many years, I am pleased that we have successfully changed the image of osteoporosis as a disease of elderly women, a group who historically have had neither economic nor political clout –to a disease that can strike us all whether we are men or women, young or old. ”Maureen McTeer, medical law specialist, human rights advocate, author, patron of Osteoporosis Canada.